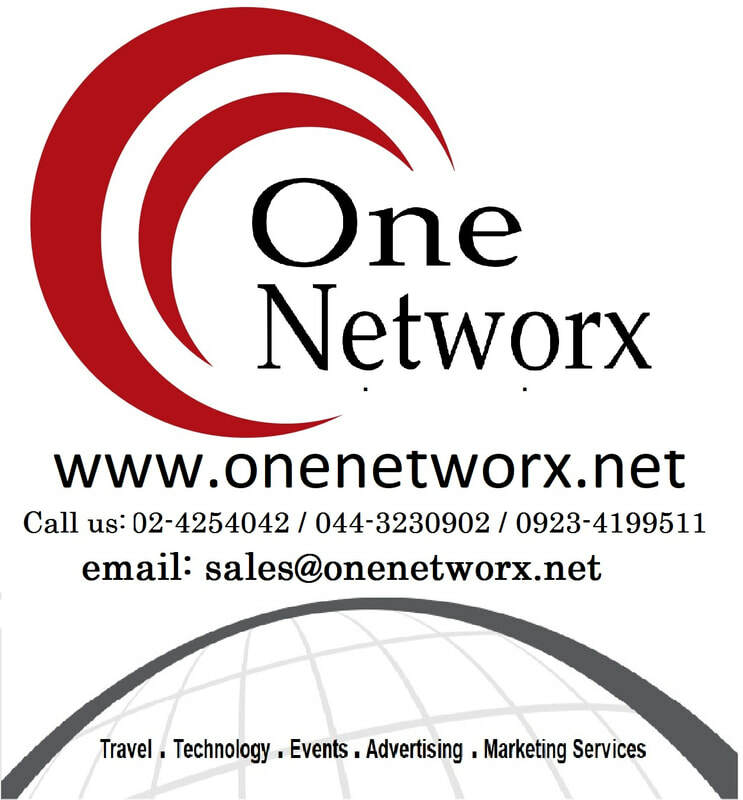 Vietnam Tour Packages via OneNetworx - ONENETWORX.NET INC. The above photo is Ha Long Bay. It is a UNESCO World Heritage Site and popular travel destination in Quang Ninh Province, Vietnam. The name Hạ Long means "descending dragon". The bay consists of thousands of limestone formation and beautiful isles in various shapes and sizes. These limestone formation are also called "rock wonder in the sky”. Looking for other tour activities in Vietnam? Book with us and save as much as 50% on your hotels. Strategically located in the heart of the city, this 5-star hotel makes for an excellent base in Ho Chi Minh City. Guests also have exclusive access to the on-site Spa and wellness centre and Fitness centre. Equipped with free wireless internet, the hotel offers a range of facilities, including an outdoor pool, a sauna and a rooftop terrace. Facilities include facial and body treatments, plus an executive floor and a free shuttle service. There is also free private parking on site for guests travelling with a car. Located in Ho Chi Minh City, Hotel Majestic Saigon offers stylish, 5-star accommodation close to Bitexco Financial Tower. 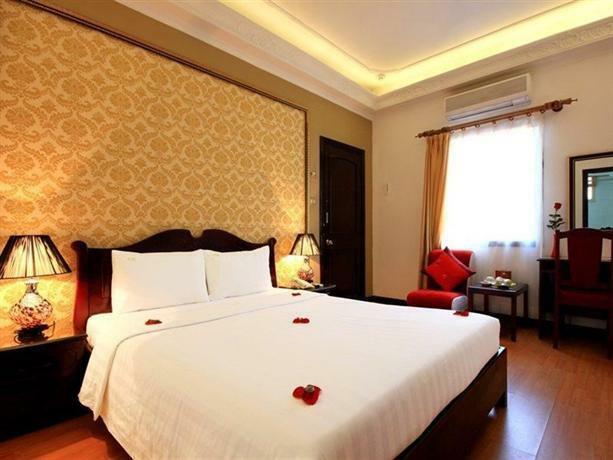 Offering complimentary wireless internet, a restaurant and an outdoor pool, the hotel is within a 10-minute walk of the Saigon Opera House and Saigon Port. 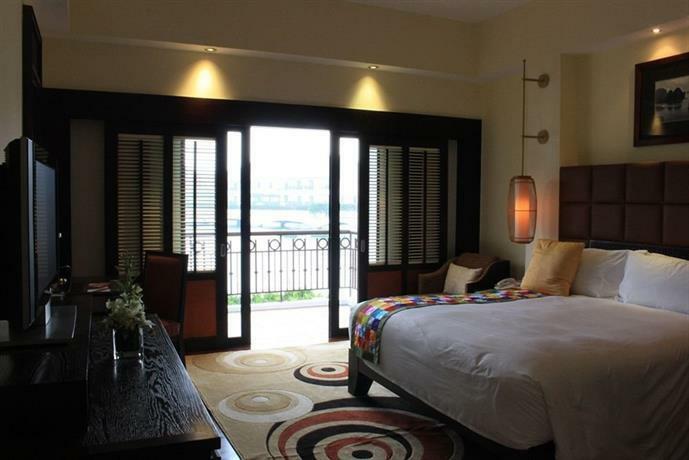 Located in Ho Chi Minh City, Grand Silverland Hotel & Spa offers stylish, 4-star accommodation close to Ben Thanh Market. Offering complimentary wireless internet, a restaurant and a rooftop pool, the hotel is within a 10-minute walk of Ho Chi Minh City Hall and the Citadel of Saigon. InterContinental Hanoi Westlake provides relaxed 5-star accommodation in Hanoi. It also features a swimming pool, an outdoor pool and a Jacuzzi. Strategically located in the centre of the city, this 3-star hotel makes for an ideal base in Hanoi. It is moments from St. Joseph's Cathedral Hanoi, eateries and nightlife options. This art deco hotel offers an airport shuttle, free Wi-Fi and room service. Staff are available 24 hours a day and can book tours and tickets. ​Those staying at Oriental Suites Hotel can enjoy Vietnamese and international cuisines at the in-house restaurant, suitably based for those who want to stay close for a meal. Each evening, guests are invited to enjoy a drink in the cosy lounge bar. The hotel also offers a daily breakfast that can be enjoyed in the breakfast room, or there are a range of well-known eateries in the area discover. Hanoi's attractions, including Dong Xuan Market, St. Joseph's Cathedral Hanoi and Temple of the Jade Mountain, are within easy walking distance of Oriental Suites Hotel. The National Library of Vietnam, the Hoa Lo Prison and the Hanoi Citadel are also found within a 20-minute walk away. Looking for more hotel options in Vietnam? Looking for tour activities in Vietnam? Check below, we are now using Klook! 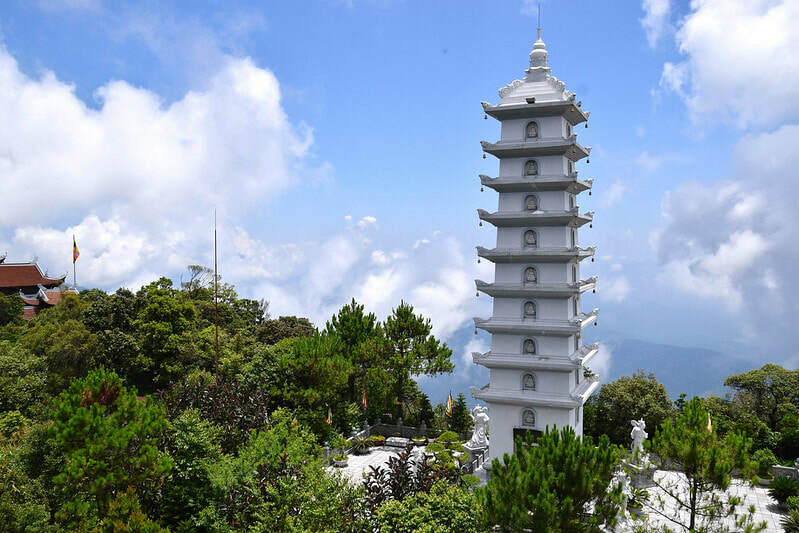 ​Explore the best of Ba Na Hills on a shared tour from Da Nang City! Hop on a modern air conditioned vehicle that will accommodate you or your traveling party during this exciting trip. Witness panoramic views across Ba Na as you walk along the 150m Golden Bridge and see the grandeur of its colossal hands as if offering the bridge up to the skies 1,414m above sea level. The bridge is made of thick wooden trusses complemented by its gilded balustrades, having an elegant finish while it glistens under the sun, reminiscent of a silk strip hiding in the clouds of Da Nang. Get to discover other famous attractions in the mountaintop complex such as the Family Entertainment Center (FEC), Linh Ung Pagoda, Linh, Phong Tu Tower, Debay Wine Cellar, French Village, Le Jardin D'Amour, Fantasy Park, Alpine Coaster, and more. Learn the stories behind each attraction with your knowledgeable and friendly English speaking guide. Enjoy your whole day trip with optional round trip transfer services available to and from your hotel in Da Nang City! Book your Golden Bridge/Ba Na Hills Tour HERE! Book your Ho Chi Minh Tour HERE! Make the most of your trip to Ho Chi Minh City with a full day tour that allows you to discover the best of the city, and takes you to the famous Cu Chi Tunnels, the very same tunnels that played an integral part in the Vietnam-American war. Choose from three different tours depending on whether you want a pick up service, or how big you want your tour group size to be. On the day of your tour, start the day early with a pick up from your hotel or by meeting up with the rest of the tour group. The first leg of your tour will be the city tour. Visit some of the most popular sites, including the Reunification Palace, a top choice for travelers who are looking to dig up some of Vietnam's history. Next up: Notre Dame Cathedral, which was established by French colonists in the 1860s. Famous for its beautiful French-inspired architecture, and towering bell towers that reach 190 feet, it's truly a sight to behold. Afterwards, you'll be taken to the Central Post Office, then the War Remnants Museum for a more in-depth look at the history and culture of Vietnam. From there, you'll take a 2.5 hour drive all the way to Cu Chi Tunnels. Crawl through the tight tunnels, walk around the subterranean village built by the Viet Cong and learn more about the Vietnam-American war. Before you head back to the city, indulge in some delicious snacks - a fantastic way to end a fulfilling and busy day. Try crawling through the tight tunnels that were built during the war! Book your Ha Long Bay Tour HERE! 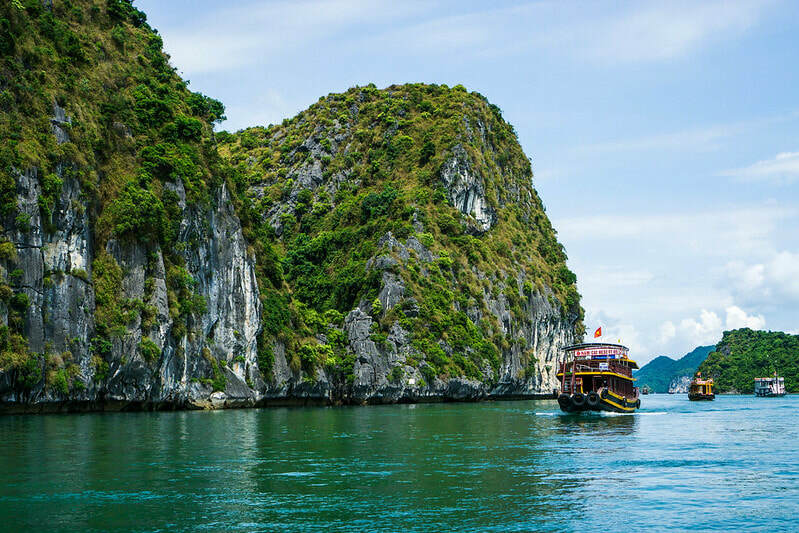 Visit the world famous UNESCO World Heritage Site on a Halong Bay day tour from Hanoi! Discover the beauty of UNESCO World Heritage Site, the Ha Long Bay! The Halong bay day tour from Hanoi starts early with a pick up from your hotel. From there, enjoy a 3 hour and a half journey through the Red River delta, a fantastic opportunity to watch the Vietnamese farmers out in the rice fields. Once you arrive at Halong City harbor, board a traditional wooden junk boat and head out into the bay. Indulge in a seafood lunch aboard the cruise and marvel at the beautiful limestone bedrock and sheer cliffs scattered all over the bay. Your first stop: Thien Cung Cave. Explore the huge chambers filled with stalactites and stalagmites and marvel at the beauty of this natural phenomenon. Afterwards, enjoy some time to kayak around the islands as you bask in the beauty of this paradise. After a full day, head back to the bay, and then travel back to Hanoi city, where your tour will end with a drop off at your hotel. Looking for other activities in Vietnam? Search, compare, and book your FLIGHTS. Search, Compare, and Book your HOTELS.